NEWPORT NEWS, Va., Oct. 17, 2017 (GLOBE NEWSWIRE) -- Huntington Ingalls Industries (NYSE:HII) announced today that its Newport News Shipbuilding division has received a $59.7 million contract from the U.S. Navy for planning and executing the overhaul of the submarine USS Boise (SSN 764). The contract includes options that, if exercised, would bring the total value of the contract to $385 million. 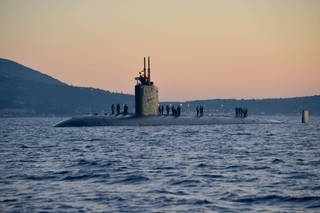 The contract is for work to be completed by 2021 at Newport News and will include planning for the maintenance, repair, alterations, testing and routine work during the submarine’s scheduled FY18 engineered overhaul. USS Boise (SSN 764) is a Los-Angeles class submarine and the second Navy boat to be named for Idaho’s capital. Newport News laid USS Boise’s keel in August 1988, and the submarine was delivered to the Navy in September 1992.